It was rather serendipitous that both goals during the match last Sunday (EPL: Chelsea [home] VS Liverpool) came respectively from both clubs’ icons – John Terry and Steven Gerrard. To amplify the coincidence further, the goals were both headers. There is much that one could take away from the match. Among them is the reiteration of fact that the success of a football club doesn’t come from large infusions of cash; to a larger extent, it’s actually the will of the players who embody the essence of a club that truly determines its success. Fans love this – and that’s why it is so hard for other players to gain a similar veneration. 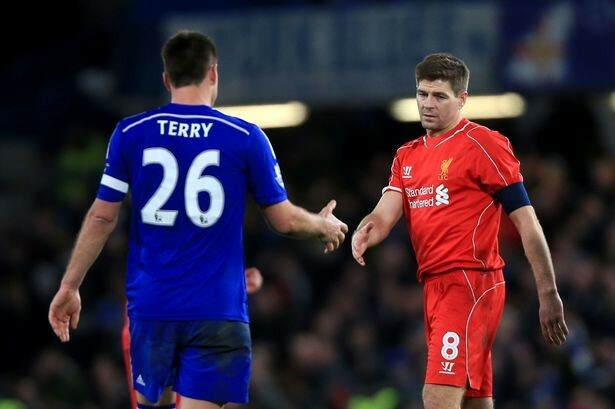 To see what we’re talking about, take a look at the two veteran skippers: Terry and Gerrard. The similarities are astounding. Both of them were captains of their respective clubs; both were regular England internationals at one time (and captains too); both were wanted by Mourinho during his spell at Real Madrid and to cap it off, both were plagued by a slip which costed them each a major trophy. Nevertheless, the admiration of the fans towards these players would never have hit such heights if not for the numerous rejections publicly afforded by Gerrard and Terry respectively, towards other opportunistic clubs. It seemed that the proverbial ‘big money’ has finally met its match: stalwarts. Perhaps worryingly, stalwarts are a rare occurrence these days; big money transfers have vitiated many players’ claim of loyalty towards their clubs. From whence before a young talent would have his skills nurtured and honed with his boyhood club throughout his career, he now runs the risk of being poached by other richer clubs before even obtaining his driver’s license. It would seem to some then that loyalty isn’t profitable in the footballing world anymore – then again, one has to accept the fact that the game has changed, or in more apposite words, evolved. Cash is the incentive of the day for most and because of this, homespun clubs would undoubtedly struggle to keep hold of their talents. The opportunity to own a Ferrari 488 GTB is too appealing for most 21 year olds to refuse. Regardless, no one could blame them – everyone wants to seek a better life, whether it be necessities, luxuries or even simple comforts. The game is changing and in an era of abundant capitalism, the ones with the most cash are the likely forerunners. Even if that is so, to what degree is the success of a club determined by its affluence? Are costly brought-in players truly more integral to the success of a club? Is talent truly the sole determinant factor of a player’s worth? Does loyalty even play a substantial role these days? To begin an attempt to answer such questions, one can take a long look at the top tier clubs. We’ll take Liverpool as a case study. Bought at an eye-watering price of £22.8 million, Luiz Suarez proved his worth – with a staggering 69 goals in 110 appearances in the Premier League. As the statistics had shown, he was indeed essential when it comes to goals. 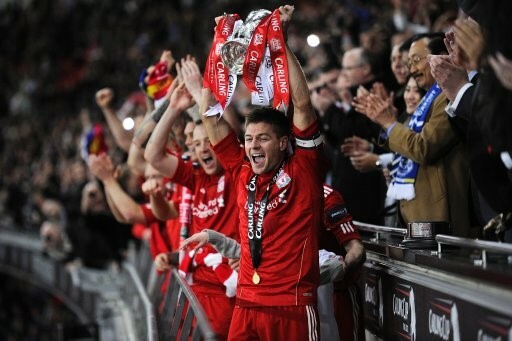 However, one has to note that from 2011 until 2014 (which was also Suarez’s spell at the club) Liverpool only won one trophy – the League cup. Hence the question – was he really that effective in bringing success to the Reds? Though one may argue that Liverpool may have done far worse without Suarez, Steven Gerrard, in our opinion, has been and still is, the backbone of the club; he’s often the provider of the necessary yet often undervalued intangibles such as motivation, drive and raw determination. Furthermore, he’s someone that the fans can rally behind in times of adversity for the club. Would Suarez ever receive that kind of support from the Anfield faithful? Maybe; but we know it’ll take him years before he receives a reverence of a similar degree. Take a look at their recent season (2014-15), where they’re likely to finish fifth. Although it was true that Suarez’s influence was missed throughout the season, one has to recognize that the club did not collapse without him; rather, they persevered resolutely. 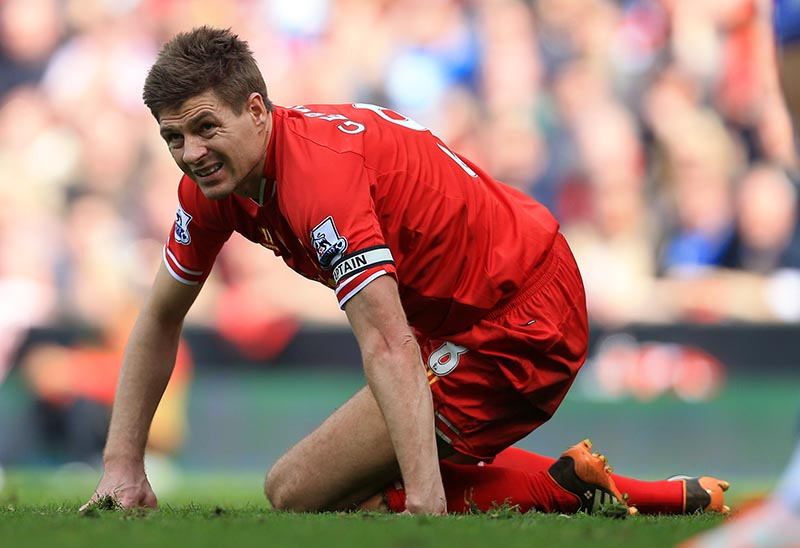 Indeed, it should be of no surprise to some when Gerrard had come to the rescue last Sunday. His equalizer, it could be said then, could not have come at a better time. What may be a prick in most Chelsea fans’ hearts can also be a quaint picture for many seasoned Liverpool fans: the sight of Gerrard scoring isn’t unfamiliar to many of them. To see a player of his caliber leave the Premier league will be a heartache to many of us football aficionados – because we know that the search for a worthy successor will likely take years if not decades. There’s really no price tag, we believe, that can be aptly fitted to a player of such quality. And who knows? The price tag might even be regarded as an insult by these stalwarts. 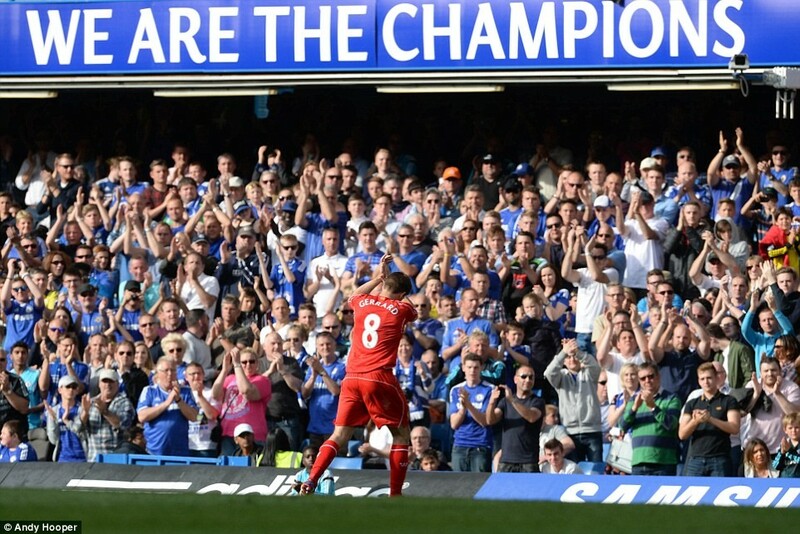 Tags: Chelsea VS Liverpool, John Terry, money in football, Stalwarts, Steven Gerrard. Bookmark the permalink.